Now, researchers from the Harvard John A. Paulson School of Engineering and Applied Sciences and the Department of Organismic and Evolutionary Biology have developed a simple model that shows how external environmental factors, such as daytime temperature variations, cause internal flows in the mound which move pheromone-like cues around, triggering building behavior in individual termites. Those modifications change the internal environment, triggering new behaviors and the cycle continues. 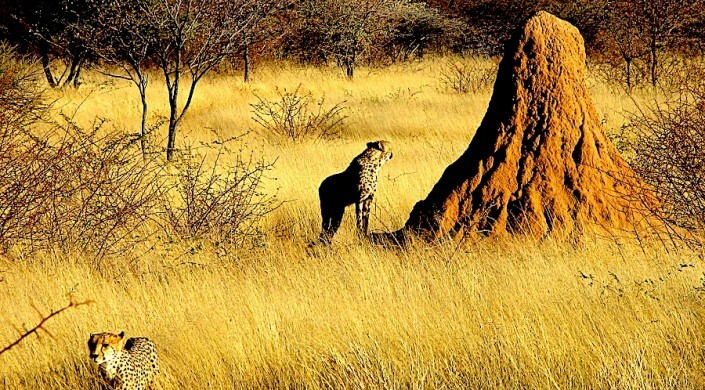 While they might look like apartment complexes, termite mounds actually function as a ventilation system for the colony that lives deep underground. In previous research, Mahadevan and his team found that changes in external temperatures throughout the day drive changes in airflow, temperature, and humidity inside the termite mound.